 A multi-day ride through some of the most bio-diverse parts of the world. The Cloudforest, Coast and Craters Tour is a combination of Ecuador Freedom’s most popular tours. 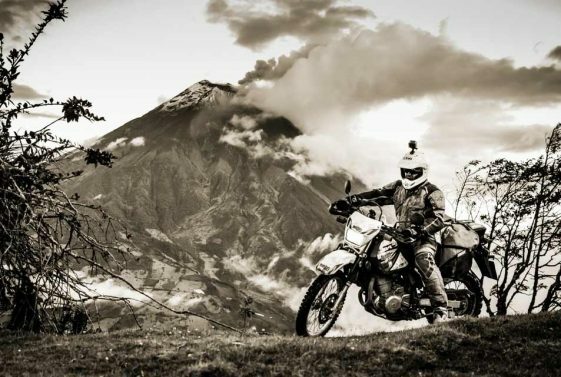 This incredible multi-day ride will take you on some of the best roads and to the best sights in Ecuador. While on the Cloudforest, Coast and Craters Tour you will pass through several climatic zones, including the cloudforest, coastal savannah, beach, desert, and the rainforest on the eastern and western slopes. This tour promises to be unforgettable. You will ride through some of the most bio-diverse parts of the world, seeing rural parts of Ecuador that few visitors get to see. Experience magnificent warm sandy beaches and volcanic spring baths. Plus a variety of foods and amazing cuisines along the way!